William Salaam is a master ventriloquist four time winner of Showtime at the Apollo. He is a motivational speaker. He is a innovator. 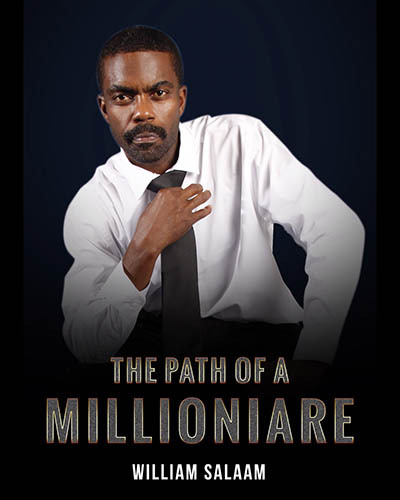 In this book william teaches us to get on the path of greatness and success; the strategies it take to become a millionaire even though he himself struggled, and was homeless for years. Taking cold showers in the winter, walking and riding a bike was his main transportation in his thirties. Not to mention times when he couldn't afford a dollar cheeseburger for many years. This is where he began to really think, humble, and found that there has to be a better life. He eventually began to read up on millionaires. He realized that his story was pretty much the same as other millionaires. That's when he began to do something different and started to walk the path of a millionaire. He now teaches you must do what you are born to do and not what you have to do. That's where you start the path of a millionaire.